Kutt Calhoun’s highly anticipated Red-Headed Stepchild EP is now available for purchase. Red-Headed Stepchild includes production from Seven and appearances by Big Scoob, JL of B. Hood, and BG Bulletwound. Kutt Calhoun’s latest release is sure to slam speakers and keep your summer blazing. Be sure to get yours now! 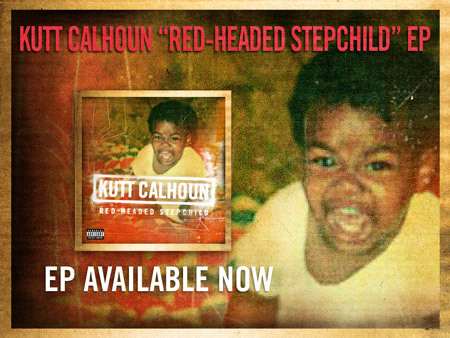 Click here to purchase Kutt Calhoun’s Red-Headed Stepchild.